How do I organise a golf booking? Hi, I will be in Pattaya soon and I have 3 friends coming over for a short 4 day stay. Ideally we're looking to play golf on the 1st or 2nd May but I have no idea how to go about getting this organised. I will be in Pattaya a week before them. 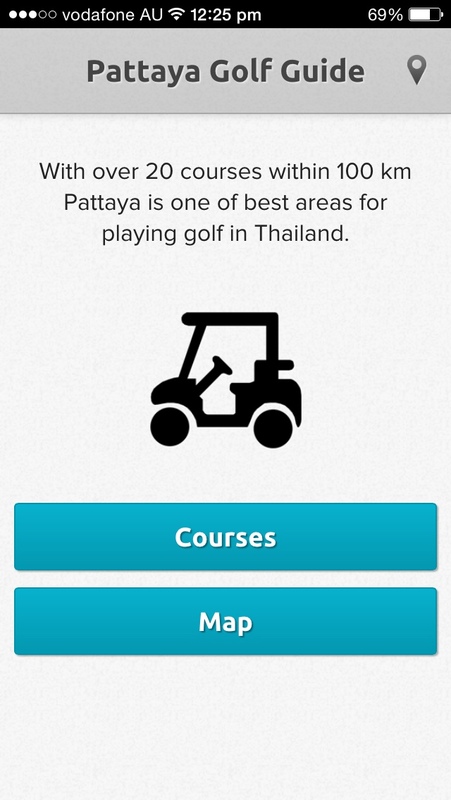 Google "Pattaya golf courses" and you'll get a ton of info. NB - this is April's as May has not been published yet but they can only get cheaper as we move more into low season. If you are not PSC members then don't be shy to ask the clubs for a discount as many are hurting even now for players. The other option is to play out of one of the many bars but then you are tied into their timings/transport/courses etc. 2nd May is Saturday and not many bars play then as the cost is a lot higher normally at the weekend. From the link above you can also get to the list of bars and contact details. Interests:Golf, Drinking, girls, ladies, females. Or in same Soi there's Fergus at Ned Kelly Bar he organises great days competition . I will be there on May 5th playing with Fergus . His group is called Travellers Rest. Thanks everyone, some useful information there. I was in Pattaya about 18 months ago and I came alone and without clubs but still wanted to play a round of golf. After a lot of searching I found that the folks at the I-Rovers bar organize a couple of outings a week. They will even rent you a set of pretty nice clubs too and they provide transportation to and from the bar (it's convenient in LK Metro). For me it was a great day. An early breakfast at I-Rovers (the Baht Buster was a full English breakfast) then off to the course in a comfortable van. We played the Emerald golf Club and it was a pretty challenging track and in pretty good shape given that it was at the end of monsoon season. http://www.golfasian.com/golf-courses/thailand-golf-courses/pattaya/emerald-golf-club/%C2'> Then after a couple of beers at the 19th hole, we headed to Ban Chang for a late lunch and some afternoon bar activity. The group of guys that went on the trip were very welcoming (mostly expats) and I had a great time. A perfect way to spend a morning and afternoon. Thanks Harddrive. I have my breakfast in there most days. I'll ask when I call in. We're going to need to rent clubs also. This app is great if u want to organise yourself. You can hire clubs on course. Just go to a travel agent to hire mini bus. Everyone wants to help u spend your money. Very friendly and laid back. I found a lot of punters took their game too seriously. I like golden ferret. Go in ask for Peter, he will have a list of the courses for the week. You can also get him to arrange a separate trip for you and your friends. Price includes breakfast, club storage, ride to and from course, green fees, and caddy fee, and a drink when you get back. He has great food too. any recommendation for where to hire transportation (mini bus or taxi) to golf courses? for me that has been the hard of organising golf trip myself: a reliable transportation service, i.e. who knows where the golf course are (i had drivers ending up cluelee in the middle of nowhere), know enough english ...and at a decent price? That's why I like dealing with the folks at Irovers. They arrange everything. Just show up for breakfast. I will check ...and hope they have something go-ing in low season (July). What sort of price would you be looking at for a round for 4 ppl and club hire? You realise the previous post to you on this topic was nearly two years ago? I will answer anyway, golf without PSC membership in high season, approx 50 to 140 pounds, golf, transport, caddy, buggy and golf club hire. dependant on where you play. lower price in low season. Example, Pattavia £15-20 green fee, £8 caddy, £7 standard tip (300baht), buggy £15, return travel for 4 (2000 baht) +£12, Club hire £12 = £74, buggy is optional at some places, can be shared at others and compulsory at most.